What to do when a special occasion interrupts castle construction? Our supersoft jersey blazer is on hand to dress up any outfit in an instant. The suit-style cut and button detail are more than a match for family dinners. 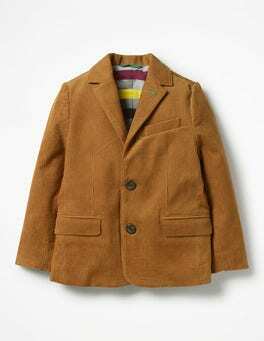 Team the jacket with cords or chinos to really impress the grown-ups.